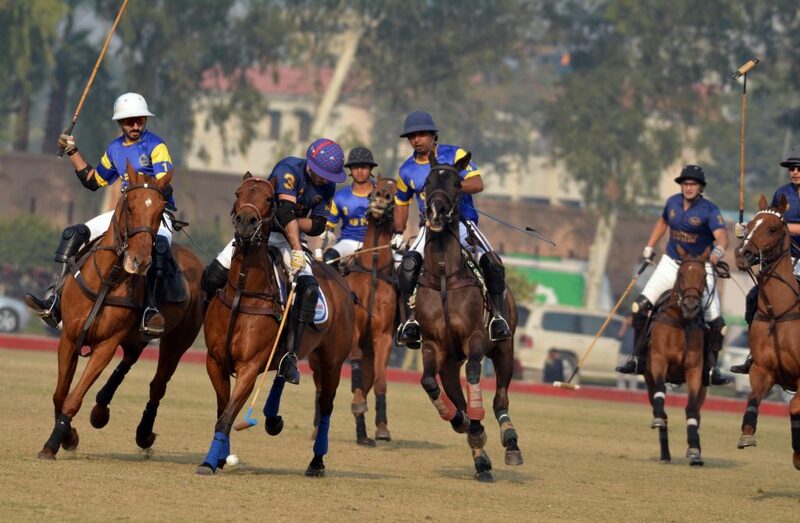 LAHORE: Newage/Diamond Paints defeated Kalabagh Four by 8-6 in the opening match of the Maj. Gen. Saeed Uz Zaman Memorial Polo Cup 2018 played here at Fortress Stadium. Hissam Ali Hyder was in sublime form as he contributed superb six goals his team’s triumph while the remaining two came from Alman Jalil Azam and Mir Huzaifa Ahmed – who struck one goal apiece. From the losing side, which had two goals handicap advantage, Raja Jalal Arslan banged in a brace and Raja Mekal Sami and Raja Sami Ullah converted one goal apiece. Kalabagh Four opened their account with a field goal by Raja Mekal Sami but Newage/Diamond Paints then started playing aggressively and thwarted three back-to-back goals – one each by Hissam, Alman and Huzaifa – to take 3-1 lead. Kalabagh Four bounced back in style in the second chukker and fired in two fantastic goals – one each through Raja Jalal and Raja Sami – to draw the things at 3-3. Hissam started the third chukker with a field goal to provide Newage 4-3 lead which couldn’t last long as Raja Jalal struck a field goal for Kalabagh to square the things at 4-4. In the dying moments of the third chukker, Hissam malleted an impressive field goal to give Newage 5-4 edge. The fourth and last chukker was fully dominated by Newage/Diamond Paints as Hissam played phenomenal polo and converted tremendous three back-to-back goals to guide his side to an impressive 8-6 victory as Kalabagh Four had two goals handicap advantage. Raja Temur Nadeem and Maj Adil Sultan Rao officiated the match as field umpires. 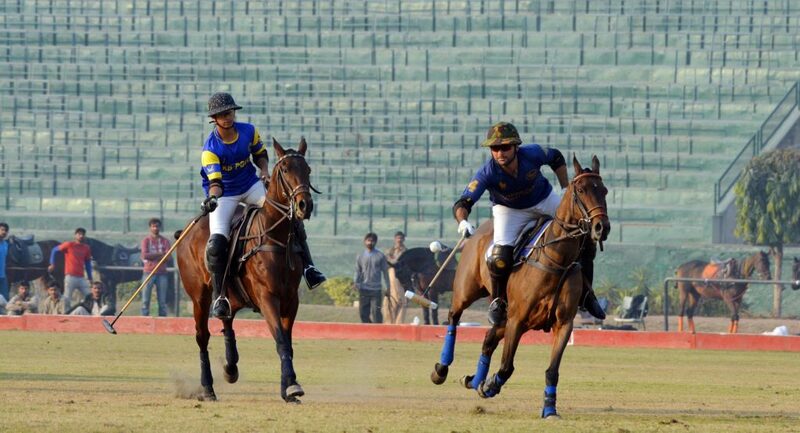 On Wednesday, Kalabagh Four will vie against Master Paints in the only match of the day at Cavalry ground at 2:15 pm.